While job hunting in 2008 and 2009, I met waves of people displaced from the publishing industry. It was a massacre. Interesting to see that they industry knew it was coming in 1994 but was in denial. P.S. Where the shoulder pads really that big in 1994? // It’s been a little over 4 years since I officially launched my internet marketing software company, HubSpot. (The “official” date is June 9th, 2006 — for those that are curious about such things). So, I’ve had about 4 years on the “inside” of a fast-growing, venture-backed B2B SaaS startup. Quick stats: ~2,900 customers, ~170 employees and $33 million in capital raised. But, this is not an article about HubSpot, it’s an article about things I’ve learned in the process of being a part of one of the fastest growing SaaS startups ever. (I looked at data for a bunch of publicly traded SaaS companies, and the only one that grew revenues faster than HubSpot was Salesforce.com). In any case, let’s jump right in. 1. You are financing your customers. Most SaaS businesses are subscription-based (there’s usually no big upfront payment when you signup a customer). As a result, sales and marketing costs are front-loaded, but revenue comes in over time. This can create cash-flow issues. The higher your sales growth, the larger the gap in cash-flows. This is why SaaS companies often raise large amounts of capital. Quick Example: Lets say it costs you about $1,000 to acquire a customer (this covers marketing programs, marketing staff, sales staff, etc.). If customers pay you $100/month for your product and stay (on average) for 30 months, you make $3,000 per customer over their lifetime. That’s a 3:1 ratio of life-time-value to acquisition cost. Not bad. But, here’s the problem. If you sign up 100 customers this month, you will have incurred $100,000 in acquisition costs ($1,000 x 100). You’re going to make $300,000 over the next 30 months on those customers by way of subscriptions. The problem is that you pay the $100,000 today whereas the $300,000 payback will come over time. So, from a cash perspective, you’re down $100,000. If you have the cash to support it, not a big deal. If you don’t, it’s a VERY BIG DEAL. Take that same example, and say you grew your new sales by 100% in 6 months (woo hoo!). Now, you’re depleting your cash at $200,000/month. Basically, in a subscription business, the faster you are growing, the more cash you’re going to need. 2 Retaining customers is critical. In the old enterprise software days, a common model was to have some sort of upfront license fee — and then some ongoing maintenance revenue (15–20%) which covered things like support and upgrades. Sure, the recurring revenue was important (because it added up) but much of the mojo was in those big upfront fees. The holy grail as an enterprise software startup was when you could get these recurring maintenance fees to exceed your operating costs (which meant that in theory, you didn’t have to make a single sale to still keep the lights on). In the SaaS world, everything is usually some sort of recurring revenue. This, in the long-term is a mostly good thing. But, in the short-term, it means you really need to keep those customers that you sell or things are going to get really painful, very quickly. Looking at our example from #1, if you spent $1,000 to acquire a customer, and they quit in 6 months, you lost $400. Also, in the installed-software world, your customers were somewhat likely to have invested in getting your product up and running and customizing it to their needs. As such, switching costs were reasonably high. In SaaS, things are simple by design — and contracts are shorter. The net result is that it is easier for customers to leave. Quick math: Figure out your total acquisition cost (lets say it’s $1,000) and your monthly subscription revenue (let’s say again say it’s $100). This means that you need a customer to stay at least 10 months in order to “recover” your acquisition cost — otherwise, you’re losing money. 3 It’s Software — But There Are Hard Costs. In the enterprise-installed software business, you shipped disks/CDs/DVDs (or made the software available to download). There were very few infrastructure costs. To deliver software as a service, you need to invest in infrastructure — including people to keep things running. Services like Amazon’s EC2 help a lot (in terms of having flexible scalability and very low up-front costs), but it still doesn’t obviate the need to have people that will manage the infrastructure. And, people still cost money. Oh, and by that way, Amazon’s EC2 is great in terms of low capital expense (i.e. you’re not out of pocket lots of money to buy servers and stuff), but it’s not free. By the time you get a couple of production instances, a QA instance, some S3 storage, perhaps some software load-balancing, and maybe 50% of someone’s time to manage it all (because any one of those things will degrade/fail), you’re talking about real money. Too many non-technical founders hand-wave the infrastructure costs because they think “hey we have cloud computing now, we can scale as we need it.” That’s true, you can scale as you need it, but there are some real dollars just getting the basics up and running. Quick exercise: Talk to other SaaS companies in your peer group (at your stage), that are willing to share data. Try and figure out what monthly hosting costs you can expect as you grow (and what percentage that is of revenue). 4 It Pays To Know Your Funnel. One of the central drivers in the business will be understanding the shape of your marketing/sales funnel. What channels are driving prospects into your funnel? What’s the conversion rate of a random web visitor to trial? Trial to purchase? Purchase to delighted customer? The better you know your funnel the better decisions you will make as to where to invest your limited resources. If you have a “top of the funnel” problem (i.e. your website is only getting 10 visitors a week), then creating the world’s best landing page and trying to optimize your conversions is unlikely to move the dial much. On the other hand, if only 1 in 10,000 people that visit your website ultimately convert to a lead (or user), growing your web traffic to 100,000 visitors is not going to move the dial either. Understand your funnel, so you can optimize it. The bottleneck (and opportunity for improvement) is always somewhere. Find it, and optimize it — until the bottleneck moves somewhere else. It’s a lot like optimzing your software product. Grab the low-hanging fruit first. Quick tip: Make sure you have a way to generate the data for your funnel as early in your startup’s history as possible. At a minimum, you need numbers on web visitors, leads/trials generated and customer sign-ups (so you know the percentage conversion at each step). 5 You Need Knobs and Dials In The Business. One of the great things about the SaaS business is you have lots of aspects of the business you can tweak (examples include pricing, packaging/features and trial duration). It’s often tempting to tweak and optimize the business too early. In the early days, the key is to install the knobs and dials and build gauges to measure as much as you can (without driving yourself crazy). Get really good at efficient experimentation (i.e. I can turn this knob and see it have this effect). But, be careful that you don’t make too many changes too quickly (because often, there’s a lag-time before the impact of a change shows up). Also, try not to make several big changes at once — otherwise you won’t know which of the changes actually had the impact. As you grow, you should be spending a fair amount of your time understanding the metrics in your business and how those metrics are moving over time. Quick advice: If you do experiment with pricing, try hard to take care of your early customers with some sort of “grandparenting” clause. It’s good karma. 6 Visibility and Brakes Let You Go Faster. One of the big benefits of SaaS businesses is that they often operate on a shorter cycle. You’re dealing in days/weeks/months not in quarters/years. What this means is that when bad things start to happen (as many experienced during the start of the economic downturn), you’ll notice it sooner. This is a very good thing. It’s like driving a fast car. Good breaks allow you to go faster (because you can slow down if conditions require). But, great visibility helps too — you can better see what’s happening around you, and what’s coming. The net result is that the risk of going faster is mitigated. Quick question: If something really big happened in your industry, do you have internal “alarms” that would go off in your business? How long would it take for you to find out? 7 User Interface and Experience Counts: If you’re used to selling client-server enterprise software that was installed on premises, there’s a chance that you didn’t think that much about UI and UX. You were focused on other things (like customization, rules engines and remote troubleshooting). That was mostly OK, because on average, the UI/UX of most of the other applications that were running on user desktops at the enterprise sucked too. So, when you got compared against the other Windows client-server apps, you didn’t fare too badly. In the SaaS world, everything is running in a browser. Now, the applications you are getting compared to are ones where someone likely spent some time thinking about UI/UX. Including those slick consumer apps. You’re going to need to step it up. In this world, design matters much more. Further, as noted in #2 above, success in SaaS is not just about selling customers, it’s also about retaining them. If your user experience makes people want to pull their hair out and run out of the room screaming, there’s a decent chance that your cancellation rate is going to be higher than you want. High cancellation rates kill SaaS startups. Quick tip: Start recruiting great design and user experience talent now. They’re in-demand and hard to find, so it might take a while. So, what do you think? Are you running a SaaS startup now? What have you learned? Would love to hear about your experiences in the comments. You can follow me on twitter @dharmesh. 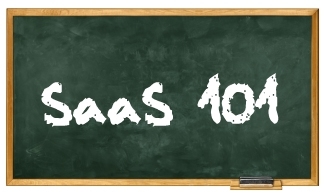 via SaaS 101: 7 Simple Lessons From Inside HubSpot. Rackspace announced Monday that it is open-sourcing its cloud computing platform, making a bid to bring some sorely needed interoperability to the cloud with the launch of the OpenStack project. First up is the software behind the company’s cloud storage engine, Rackspace Cloud Files. You can freely download early code at the OpenStack site under the Apache 2.0 license — meaning of course that you can do pretty anything you want with the code. The full release is expected in mid-September, according to the site. In mid-October, Rackspace will release OpenStack Compute, code based on its Cloud Servers technology and the Nebula platform operated by NASA, which is partnering with Rackspace on the project. So basically, anyone will be able to download the software behind two massive cloud computing platforms and build their own. And NASA and Rackspace have pledged that their engineers will continue to develop the technology — they kind of have to, considering that both organizations will be powering their clouds using OpenStack. Rackspace also says that it will commit money and manpower to supporting enterprise and service provider adoption of OpenStack…. via CIOZone.com – Professional Network for CIOs and IT Professionals – NASA and Rackspace Open Up the Cloud. I had a blast these past two days at the World Business Process Outsourcing/IT Outsourcing Forum (http://www.worldbpoforum.com). My favorite takeaway from the event was the story of a global energy company. It is my favorite because it illustrates one of my passions (and peeves): Total Cost of Ownership (TCO). This company had operations in dozens of countries throughout the world, many in the typical “low labor cost” countries — the usual suspects. Well, instead of jumping on the bandwagon, the CIO and his team looked at TCO which includes all costs to the company; not just labor. Long story short, they found that it was substantially more profitable to consolidate operations in a particular Scandinavian county in lieu of a popular South East Asian one. How? Tax implications were one of the factors. Counter intuitive? You bet. But that’s TCO. You don’t know the answer until you do your homework and look at the big picture. Without TCO, its so easy to save a bundle in your department but cost an even bigger bundle to the company. My second favorite takeaway — move fast. Yep, I’m a proponent of pulling bandages off quickly. Same goes for organizational change. I have to admit that I did feel some sense of pleasure in hearing several highly successful leaders say the same. Their pitch to their Mgmt Committees and Boards was that moving quickly reduces flight risk of customers and suppliers. In the past, I’ve pitched for moving fast on the grounds of minimizing disruption of operations and impact on morale. For me, this is a new perspective and reason. I’ll be putting that one in my toolbox for future use. It was reported that business process outsourcing is continuing to build momentum. It will more than likely be as rampant as IT outsourcing; hopefully, this time with less pain and disappointment. The danger is that these types of initiatives come into vague and become the fashion of the day. So, every nabob that only interested in collecting a big bonus and get a juicy bullet on their resume will jump blindly onto the bandwagon. In the end, they move on to their next job while the company and its shareholders (as well as the employees that remain) are left holding the bag and paying the price. Well, that’s why events like this one are important — so that one can see where it worked and where it didn’t and meet the players that are doing it right. One final point… both the buyers and sellers at the forum agreed that there is a lot of work left to be done with the procurement process and governance. So, we will all have plenty to discuss next year. It’s especially difficult when one encounters HR staff and recruiters that are clueless to what happened in 2009. Long-term unemployment can wreak havoc on a person’s sense of self-worth and well-being. Worse, big resume gaps, or current unemployment, may also mark a job seeker as “damaged goods” and make a long job search even longer. “I wouldn’t say the bias [against hiring the unemployed] is pervasive, but too many hiring managers don’t realize that the world has changed and that people have had a hard time finding jobs through no fault of their own,” says Cheryl Ferguson, president of Recruiter’s Studio and recruiter for Decision Toolbox. Throw in the towel? Don’t even think about it, career experts say. They suggest these practical steps to help even the most discouraged unemployed job seeker get motivated and beat the odds. 1. Check your mental attitudes. It’s a vicious circle: the longer you’re out of work, the more anxious, insecure, or depressed you may be–and this can hurt your chances of landing a job. “Attitude is a crucial part of the job search, and unfortunately it’s easy to be caught up in negative mental self-talk, especially with the media telling us how terrible everything is,” says Helaine Z. Harris, a Los Angeles-based psychotherapist. If anxiety or depression is significant, don’t be afraid to seek counseling. If that’s not an option, simple calming breaths and even meditation can be effective, Harris says. “It’s essential to relax and clear the mind, so you’ll know the right actions to take and be able to magnetize the opportunities you want.” Connecting with nurturing friends and sharing your feelings about being unemployed can also help if you’re feeling isolated. There’s documented evidence that physical exercise improves mental health and reduces anxiety. And a gym regimen or even daily walks around the neighborhood can help your job-search efforts by adding structure to your day. “Regular exercise creates more self-discipline and shows that you can do hard things, which makes it easier to handle tasks like making difficult phone calls,” says Penelope Trunk, creator of the social network site Brazen Careerist. 3. Step away from the computer. 4. Re-examine employment strategies and tactics. “Are you really spending 30 hours a week job searching? Do you have a job-search buddy, so you can be accountable to each other? Are you active in your professional association, in-person and online? After an interview, have you sent a proposal that explains what you’d do for the employer? Have you followed up relentlessly with warm leads? If you’ve done all of those things and still aren’t getting a job, you probably need to change your job target to a more in-demand job title or a lower-level job,” says Nemko. 5. Fill the resume gap. 6. Don’t be defensive about unemployment. via Breaking Out Of Long-Term Unemployment | Glassdoor.com Blog. There are several important documents you’ll want to have ready when you meet with potential investors. Your mission statement. Your founding team’s resume and responsibilities. A business plan. But most investors agree: they do not want to sign an NDA. 1. Trust. Potential investors are not your competition, and asking them to sign an NDA is often interpreted as a sign you don’t trust them. As professional integrity is important to VCs, requiring an NDA is generally seen as a violation of business etiquette. 2. Legality. An NDA is a legally binding document, and as such, it’s something people will refuse to sign without having a lawyer review. Most investors are unwilling to accept the risk of litigation should they hear about a similar concept – and it isn’t a stretch to assume that investors are weighing multiple pitches with similar or related concepts. Furthermore, an NDA means the investor is restricted from mentioning you, your idea or your project. And chances are, as an entrepreneur, you do want your investors to talk about you. Whether or not you ever consider an NDA, it is advisable in the early stages of forming your business that you share your ideas and plans with people you trust. And if you are approaching someone as a potential investor, it’s important that relationship be build on credibility and integrity, not on a legal document. via Why VCs Won’t Sign Your NDA. I like this move. This acquisition is an interesting and complementary addition to the suite. The sales and marketing department users should be very happy with this move. Customer relationship management software company Salesforce has bought Jigsaw, according to an announcement from the company. The San Mateo, CA-based Jigsaw is a crowd-sourced business contact data outfit. Salesforce delivers its information via cloud computing, as does Jigsaw, so their models match up. This is in keeping with Salesforce’s emphasis on integrating other data and apps with Salesforce via its Service Cloud 2 system. Jigsaw offers a searchable online database of business contacts, assembled, corrected and added to by the public at large, including the contacts themselves. This seems a good fit for Salesforce and a big selling point for their users and potential users. Jigsaw has built up a customer base of 1.2 million users in six years. Its data includes 21 million contacts at four million companies and serves 800 corporate clients. The deal is $142 million, plus performance contingent earns of up to 10% of the purchase. via Salesforce Puts Jigsaw Together.